Castleford Tigers have signed prop Mitch Clark on a two-year deal. 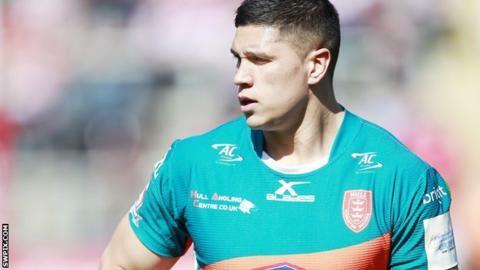 The 24-year-old spent last season with Hull KR, helping them win promotion back to Super League. Coach Daryl Powell told the club website: "I'm delighted he has signed for Castleford at this time as I believe he has a big future with us. "He is an all-action front rower who has great leg speed when carrying the ball and real intent when he is defending."